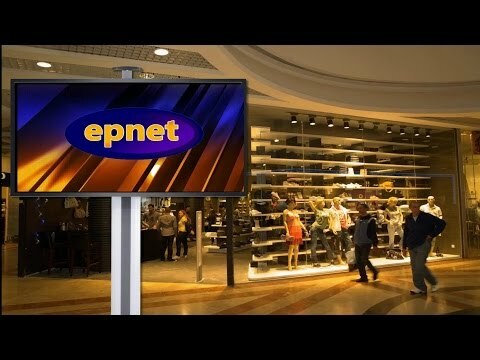 Webcasting Epnet » Live streaming: Next Level Digital Signage Live Streaming. I am Gordon Barker from EPNET during our 18 years of online business we realized that video can become life changing to companies and brands in 2016. We broadcast events from South Africa…to the world…on the web. We all know how powerful TV advertising is. And we all know how expensive it is. Stream to both your digital signage in-store at the same time as on your website! This video is about how web video streaming can reduce your marketing costs whilst increasing sales company and brand awareness. Retailers merchandising today is now trending for clothing, shoes and other fashion accessories in South Africa. Retailers and discounters struggle to find the next big thing on the web. The excitement today is live web video streaming. With live streams the impact it can have on the web as well as your digital signage to drive traffic into your store is incredible. Imagine you are having a store wide sale ask yourself what new stunning way can I use to promote this? If you do it using live web streaming you bring a sense of urgency to your store. People can phone you right off your web page to order items they see and like. Put more power into your sales using our retail digital marketing video experience. Yes you say but who is going to watch my live stream? *YouTube had reached an active user base of 7,2-million South Africans (*source Worldwideworx.com ). This is a virgin market waiting to view live store sales. Market your company in 2016 by expanding the size of your audience with live and recorded video. You must have an invitation list like members of your newsletter, a customer list or Facebook and Twitter fans. You can announce the up and coming event some time before it actually takes place. Build-up excitement before the event goes live prior to the day. Live streaming promotions which are suitable for D.I.Y. stores, banks, motor dealers, fashion retailers, supermarkets, clothing stores, hotels, pharmacies, and sports outlets. Customers can see the same video on their smartphones, PC’s and iPad devices as well as in your store branches at the same time. Design Store for Sales – Take advantage of cross-merchandising strategies and impulse sale opportunities. We are the missing link for video studios able to connect them directly to the web. Play videos for product education, customer entertainment and any other upsell or promotional tie-in. A full day shooting a live stream from your store costs you very little. The larger the size of your list of potential customers you have the less it costs. Also run your live stream show in-store using monitors placed at strategic locations in your windows and immediately outside to attract attention. Branches around the country thousands of kilometers away can also connect to the stream. Think of it as your own TV Station with live mobile advertising you can also use large scale digital screens. If you are a single store owner or with branches all over the country this direct method of promotion due to its powerful full sound and motion novelty value will ensure you get feet in the door and of every branch in the country at the same time!